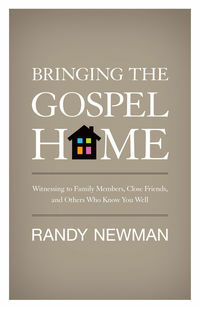 FREE eBook — especially to help you engage skeptics in your family during Christmas: “Bringing the Gospel Home: Witnessing to Family, Close Friends, and Others Who Know You Well”. in ePub, .mobi and .pdf formats. This is a book that’s been sitting on my bookshelf for several months and now in my Kindle for a couple of weeks; I’m hoping to get it read over the holidays. Monergism also has about 30 other free eBooks — many of them great classics of the faith. Check out all the free deals here. They also regularly have current eBooks on sale here.